Got a backbox bolt that's stripped, cross-threaded, or just plain won't go in? Chances are the t-nut under that bolt is damaged. 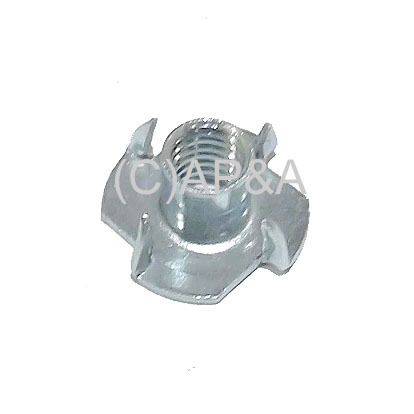 These are exact replacements for original t-nuts for backbox bolts on most all makes and models- standard 3/8-inch x 16 thread pitch. Keep a few on hand for valuable spares! BALLY: Addams Family, Addams Family Gold, Doctor Who, Gilligan's Island, Judge Dredd, Lost World, Mata Hari, Mousin' Around, Nitro Ground Shaker, Paragon, RoGo, Rolling Stones, Strikes and Spares, Twilight Zone, Voltan, World Cup Soccer '94, more?